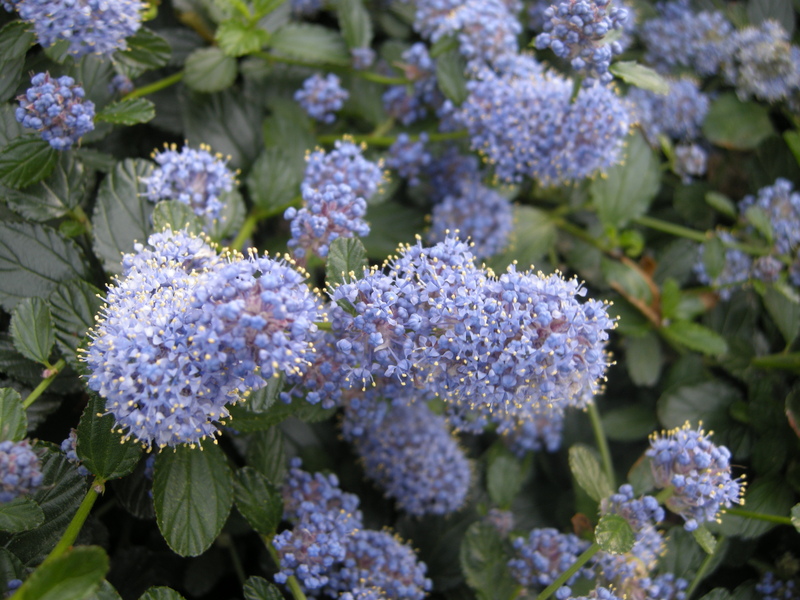 Ceanothus thyrsiflorus repens is an evergreen shrub with a low creeping habit. Its mid green, glossy leaves are alternate, ovate, toothed and up to 2cm long. Its pale to dark blue flowers are large, and are produced in terminal and lateral panicles en mass. The species, Ceanothus thyrsiflorus, commonly known as Blue Blossom, is native to North America and was first introduced to Europe in 1713. C. thyrsiflorus repens is commonly known as Creeping Blue Blossom. The etymological root of the binomial name Ceanothus was an ancient Greek name for a now unknown plant used by Theophrastus, a Greek philosopher. Thyrsiflorus refers to the flowers presenting in a thyrse, which is when the middle blooms of a cluster have longer stalks than those around them. Repens is derived from the Latin meaning ‘creeping’. The landscape architect will find Ceanothus thyrsiflorus repens useful as a low growing ground cover plant which effectively suppresses weeds. This plant is tolerant of dry soils and coastal conditions. It prefers a sheltered position. 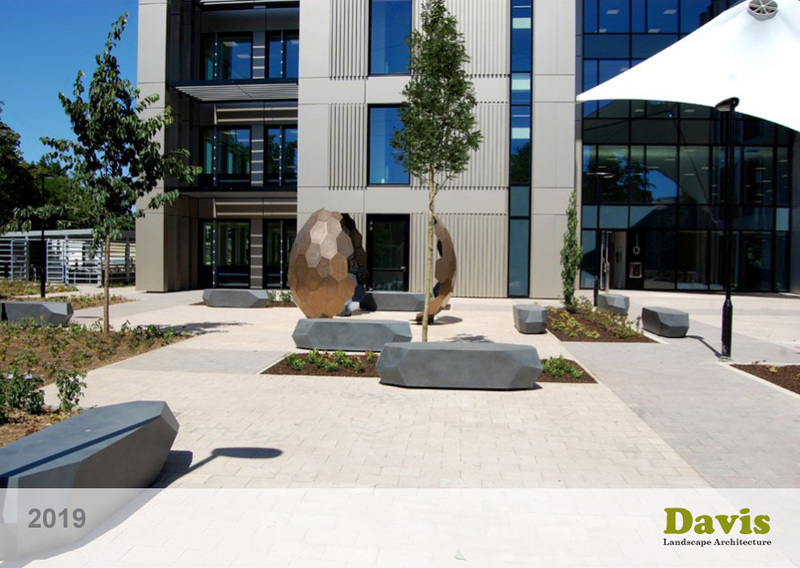 Once established this plant is drought tolerant. Ecologically, Ceanothus thyrsiflorus repens will attract pollinating insects, such as bees, that will feed on its nectar. 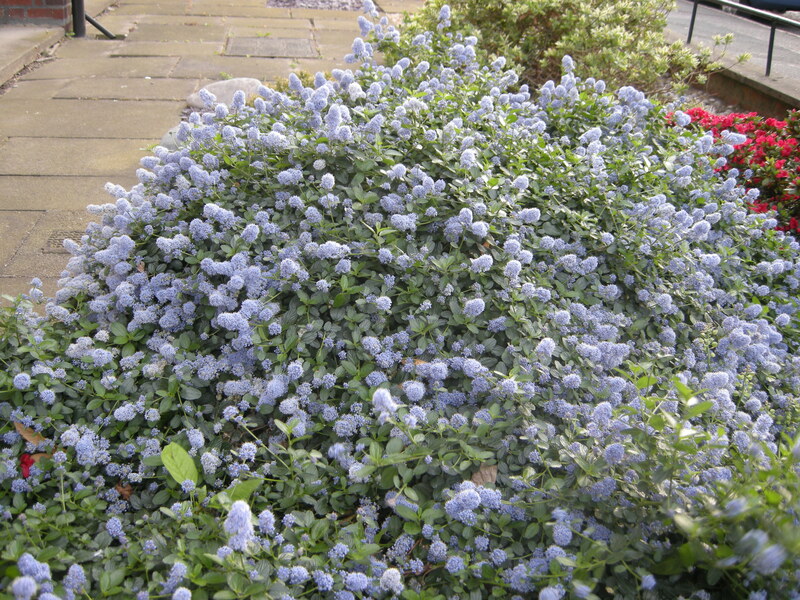 The Royal Horticultural Society have given Ceanothus thyrsiflorus repens their prestigious Award of Garden Merit. Ceanothus thyrsiflorus repens prefers moist, well-drained soils. It tolerates most pH of soil. Ceanothus thyrsiflorus repens requires little maintenance. Dead or damaged material should be removed after flowering. I like these photos of Ceanothus thyrsiflorus repens. Maybe it can live in my Sicily. 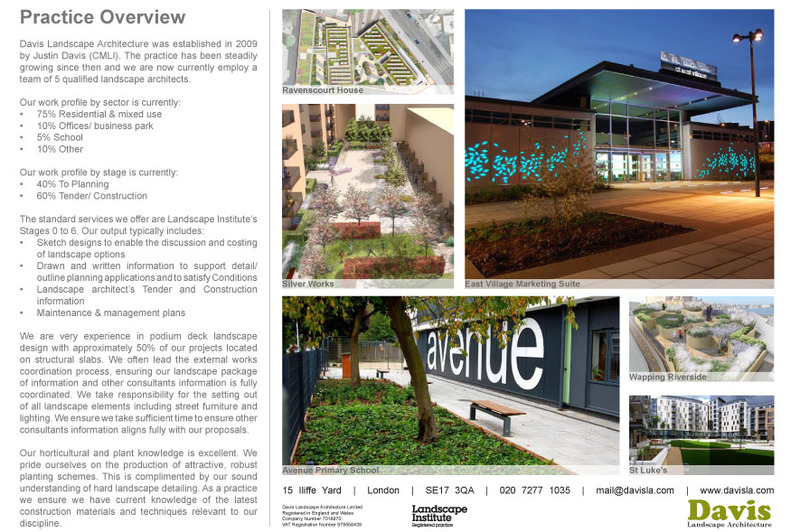 And happy garden design.